$79 billion – that’s how much companies plan to spend on SEO by the year 2020. 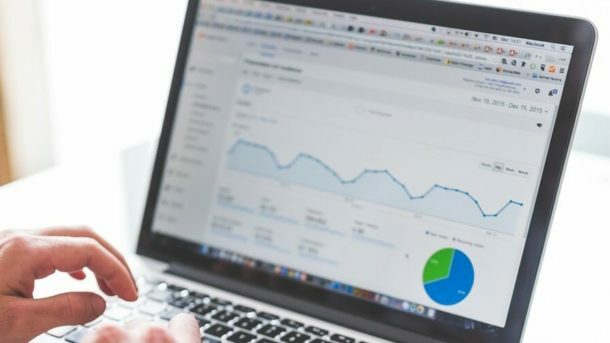 It might seem like an obscene amount of money, but it is justified considering the multiple tasks that business owners must juggle regularly – from retaining the current crop of customers to creating numerous business profiles in top local directories. Plus, there are technical SEO issues that require their attention, failing which the business’ online presence can take a hit. 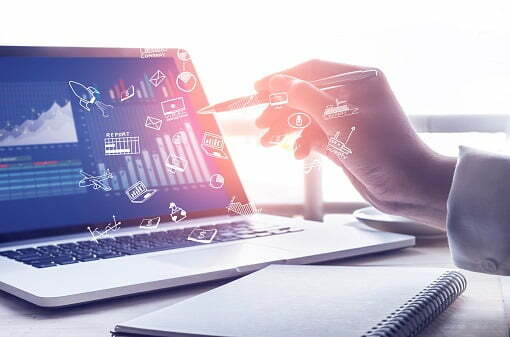 To prevent the loss of customers and sustain business growth, businesses need to identify and fix the common on-site technical SEO problems with their websites. The rank of your website on SERPs depends a lot on site speed. The faster a site is, the better the user experience, so slower websites are penalized which causes them to slide down the rankings. 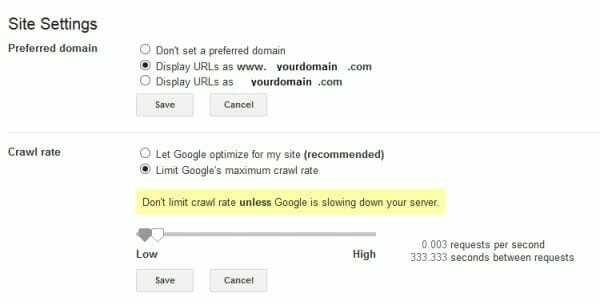 Google reduces the number of crawlers sent to your website if the server response time is more than 2 seconds. This, in turn, means fewer pages get indexed! One word – Google PageSpeed Insights. This tool tracks and measures the performance of your website for both desktop and mobile versions. Alerts are sent out for pages that are not correctly optimized. The best part is, PageSpeed Insights offers actionable descriptions on how to rectify the problem. Learn More: Website Usability vs SEO: Which Is More Important? A low text-to-HTML ratio could highlight deeply rooted problems with your website’s on-page technical SEO. The user’s quality perception of your website deteriorates. Broken links can take your crawl budget for a toss. When search bots find too many broken links, they divert to other websites, which leaves your site’s important pages un-crawled and un-indexed. Your website’s page authority is also negatively impacted. 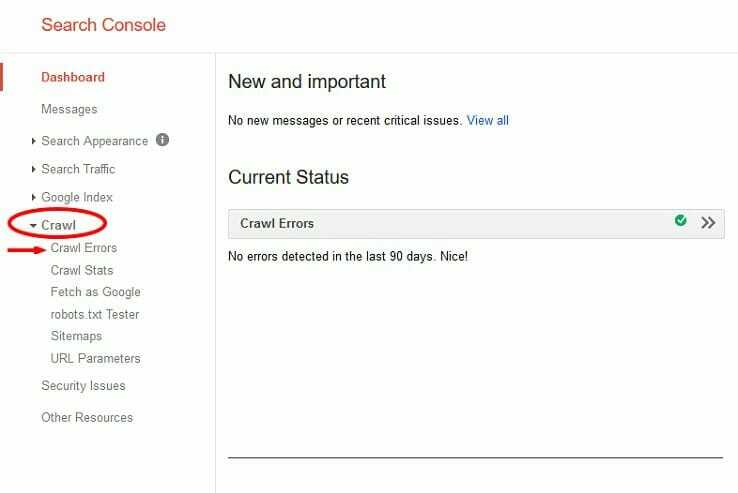 Access the Google Search Console and click on the “Crawl Errors” option under “Crawl” to understand which of your pages are returning 404 responses. Any 404 errors should be fixed early so they do not trouble your visitors and route them to other parts of your website – or off your site all together! – instead. For websites with global audiences, language declarations become important, so that the search engine is able to detect the language. Especially for text-to-speech conversion, this helps enhance the user experience because translators are able to read the content in the correct dialect of the native language. Plus, there are inherent international SEO and geo-location benefits. To declare region specificity of your web page, use rel=”alternate” hreflang tag. One of the common mistakes made by websites is to use wrong language codes; refer to this HTML Language Code Reference list to choose the the correct code. Remember, language declaration is an important aspect of web page relevance score, which is itself important for SEO. Another mistake is that of return tag errors: these result from hreflang annotations that fail to cross reference each other. 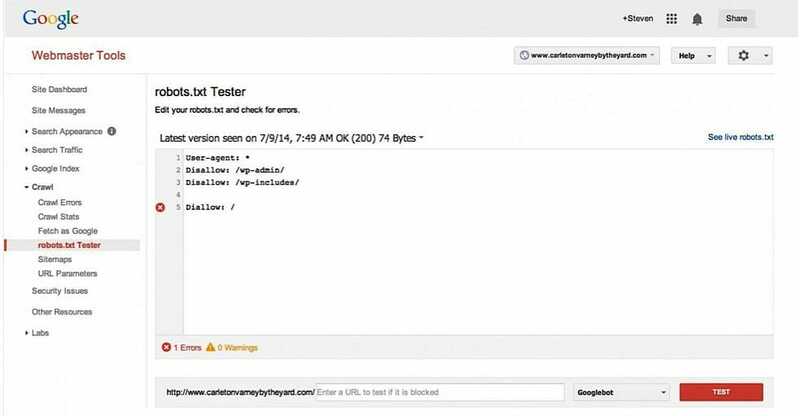 Use Google Search Console > International Targeting to identify these errors. These annotations need to be confirmed from other pages; that is, if page A links to B, then B must link back to A. According to Raventools, nearly 29% of the web features duplicate content. Make sure your website does not fall in that category. Why? Not only does copied content affect your rankings, but Google may penalize your website, too. In fact, your site may lose the chance to rank on SERPs altogether. Mark the URL version of your choice in Google Webmasters. Head to the Settings option on the top right of the page, pick “Site Settings,” and then select the right URL format. Now, when the search engine comes across a site that links to a non-www version of your website, and your preferred option is www, the linking URL is going to be treated as the www one. If various URLs share the same content, there’s a greater possibility of link sharing, website backlinking, and parameter tracking problems. To prevent these, use the canonical tag. Any bot that comes across this tag will find the link to the actual resource. Each link to the duplicate page gets treated like a link to the original page. Thus, you never lose SEO value from such links. Problems with image optimization are common, but unless your website is overly reliant on them, you can save them for later. Missing alt tags and broken images are the two most prevalent problems business owners must fix. Alt tags are HTML attributes to images, describing their contents. If an image component fails to render properly on your website, the alt tag for the image will describe both the contents and the function. They also reinforce the required keyword by helping search engine crawlers understand the page information. Implementing these tags is rather simple. 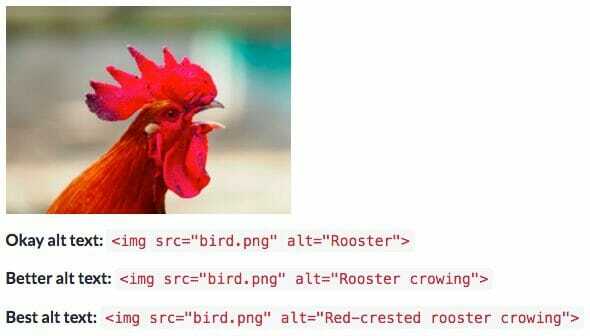 Simply locate the image component in your HTML code and add the alt tag to it. Compress the title tags of your current web pages because 70-71 characters seems to be the sweet spot as far as display space of new devices (for title tags) is concerned – which is up from 50-60 characters. Put the keyword at the beginning of the title tag. URLs that end in something like “..index.php?p=367594” mean nothing to you – or to search bots. They’re not intuitive and they’re not user friendly. Thin content can kill your SEO. And the reverse is true, too. 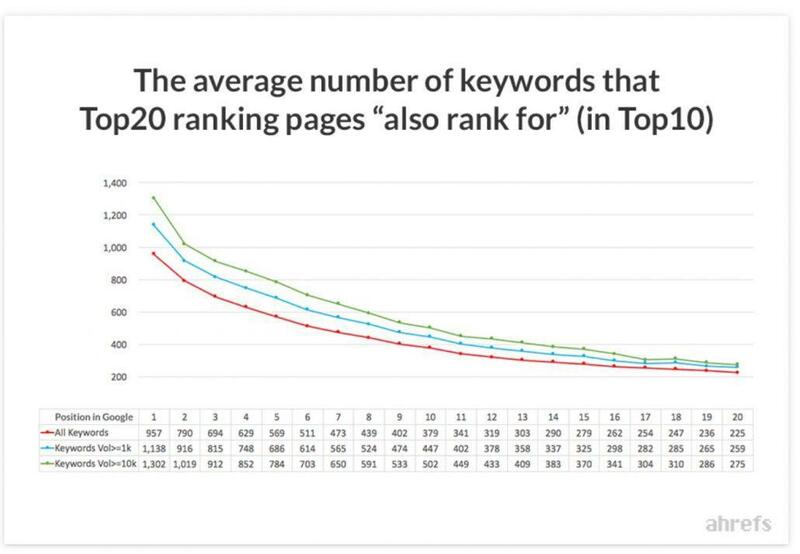 This eye-popping graph highlights how the top-ranked web pages also rank for hundreds of other keywords related to the content. This is living testimony for the idea of fat content: lengthy web pages with detailed and in-depth coverage. Thin content could be seen as your attempt to bloat the number of web pages on your website, without delivering quality per page. Thoroughly research a topic to find out all related and relevant info to include in your content. Use long-tail keywords and keywords in the form of questions as subheadings will enhance the voice-search appeal of your webpage, not to mention giving structure to your lengthy content. The suggested average word count for a blog post is between 2,250 and 2,500 words. This is big, because Google has begun a soft launch of its mobile-first index as of 2018 (though it will be a slow implementation). The search giant will rank websites based on their mobile versions, so being mobile-ready sounds like an obvious choice. However, not many websites are actually optimized for mobile browsing. Mobile phone usage is at an all-time high. Last year, there were over 224 million smartphone users in the U.S. alone. Considering that 40% of web visitors will skip your website if it’s not mobile friendly, you need to optimize your site for mobile and you need to optimize it NOW. Avoid Flash content and optimize for cross-device conversions. Design the website so that fat-fingered smartphone users can easily tap on buttons and browse comfortably. Searches with rich snippets are likely to stand out on mobile devices and attract more clicks, so use schema.org structured data. Is there something wrong with your contact form? Do users not want to fill it in? Research by Formisimo reveals that only 49% of 1.5 million web users start to fill out a form when they see it. What’s more, out of this 49%, only 16% submit a completed form. So you need to go the extra mile and rectify this problem if you want to collect your customers’ info. Try to make the contact form as compelling to users as possible. Make it as short and simple as possible. Collect only the information you need, such as name and e-mail address. Only if absolutely necessary should you have additional fields, like phone number or job title, because it is recommended that you have no more than five fields in your form. Experiment with the position, color, copy, and fields of your form. Gauge the performance results using A/B testing to see what works for your business and what does not. Is your site not getting indexed by the search engines? If yes, then that’s a big problem and the robots.txt file might be to blame. Spiders read this text file to determine whether they are permitted to index the URLs featured on that site. So, robots.txt acts like a rulebook for crawling a website. If you see that, immediately let the web developer know so they can fix the problem. The Disallow line means you’re telling the spiders not the crawl your entire website. Keep in mind that making alterations to the robots.txt file can have major consequences for your website if you’re not familiar with the process. So you should leave this task in the hands of an expert developer. One of the most prevalent SEO issues faced by business owners is NOINDEX. In fact, the destructive effects of this issue far outweigh those of a misconfigured robot.txt. 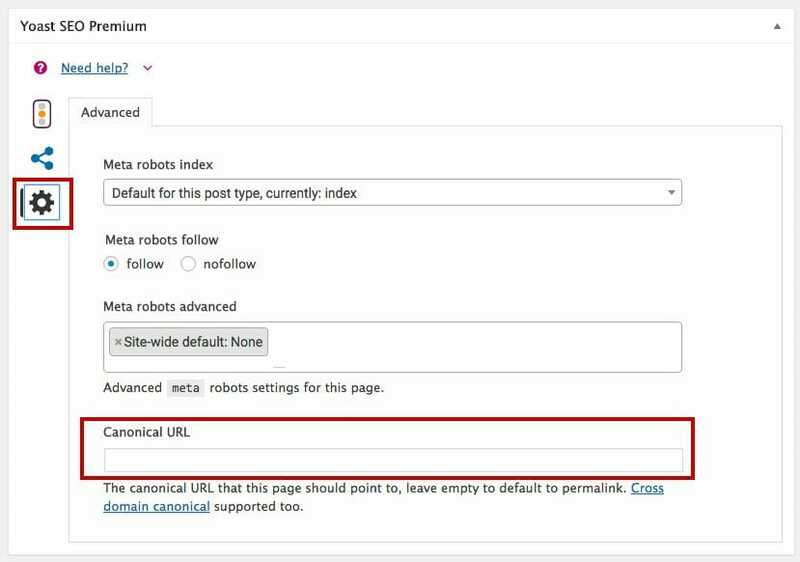 For starters, a misconfigured robots.txt is not going to remove the pages of your site from the Google index, but a NOINDEX directive is capable of wiping out every single one of your indexed pages from the Google Index. NOINDEX is useful for websites in the development phase since the directive prevents them from showing up prematurely in the users’ search results. But for established business websites, it brings nothing but trouble. The first thing you need to do is locate the problem. While it is easier (and quicker) to use an online tool like Screaming Frog that lets you scan multiple pages at the same time, the recommended method for finding NOINDEX on your website is to conduct a manual check. Go through each of the codes and if you find NOINDEX, then replace it with INDEX. You may even leave it blank. Once you’ve completed this step, Google will automatically receive the signal to start indexing your web pages once more. Online users often find some of the text replaced by ellipses (a series of dots) by Google in the results pages, like the second example in the image below. Why? Because the text exceeds the allotted word or pixel count. When this happens, it’s frustrating for the user who is trying to ascertain whether you site provides the info they’re looking for. You need to control the pixel length of web page titles and meta descriptions to ensure that search engines do not look for the remaining sentence users don’t click on a different link. XML Sitemaps alert Google to the business or topic of your website. So a missing or erroneous Sitemap is liable to broadcast false information to Google about your page. Not only do search engines have a difficult time deciphering the contents of the site, but the hierarchy of the website is also not understood. Google Search Console or Bing Webmaster Tools can help you discover this problem. 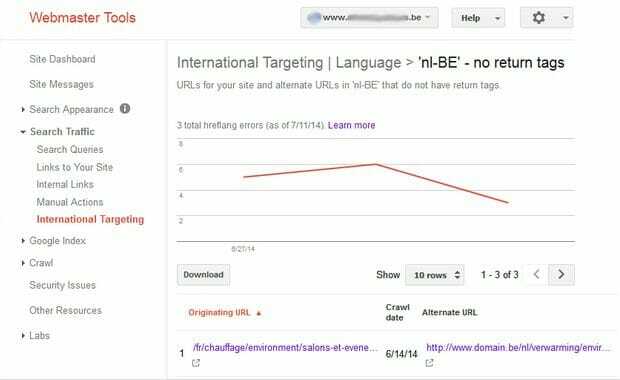 The landing page of the Sitemaps report provides the list of Sitemaps submitted to Search Console. Click on one of them, drill down for more information (if it’s a Sitemap index). Among other info bits, you will see errors listed. To sort out the problem, make sure the Sitemap generation and submission plugin on your site is working properly and without any hiccups. That’s why it makes sense to use SEO plugins that are properly integrated and have favorable reviews. Hopefully you’ve now got a better understanding of the serious on-site technical SEO issues plaguing websites – and their easy fixes. To make sure you’re not losing customers or business growth, take a proactive approach and check each of these issues yourself.